50 years to the day after the last passenger train journey between Waterford and Dungarvan the line is back in action, this time as Ireland’s longest greenway. Stretching 46 km from Waterford City to Dungarvan this off road paved path is suitable for all ages and abilities. The route takes walkers and cyclists from the River Suir in Waterford City all the way to the sea in Dungarvan through some of the most beautiful landscapes in Ireland. As Sport Ireland chief executive, and Olympic silver medallist, John Treacy said: “Having a world-class facility like the Greenway, with its beautiful vista and fantastic amenities, will encourage and provide opportunities to people of all ages, the length and breadth of Waterford, to get out and get active”. We couldn’t have said it better ourselves John! So get out there and make the most of this wonderful amenity. 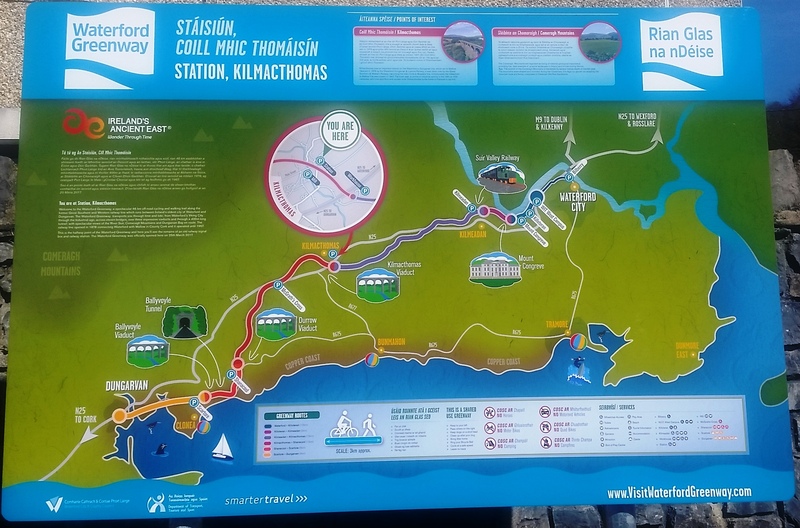 Visit Waterford Greenway has all the information you to make the most of your visit. There is an interactive map showing access points, bike hire, parking, toilets, conditions enroute and those all important refreshment stops. A downloadable map and list of things to do and see are also available. For children the Greenway Hunt has lots of exciting activities and things to look out for on their Waterford Greenway adventure. And if you are still not convinced check out this fantastic video! 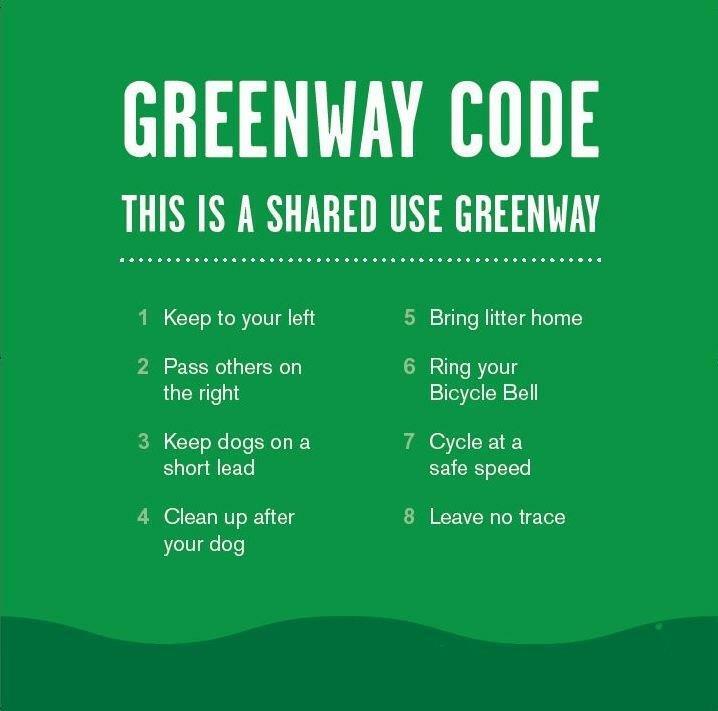 The Greenway Code is a reminder to be considerate of other greenway users and to work together to keep the Waterford Greenway a special place, where people are kind to each other and to the environment. We hope you get out and enjoy the Waterford Greenway as often as you can. Why not show us your favourite places to get out and get active using the hashtags #healthywaterford and #waterfordgreenway on facebook and twitter. 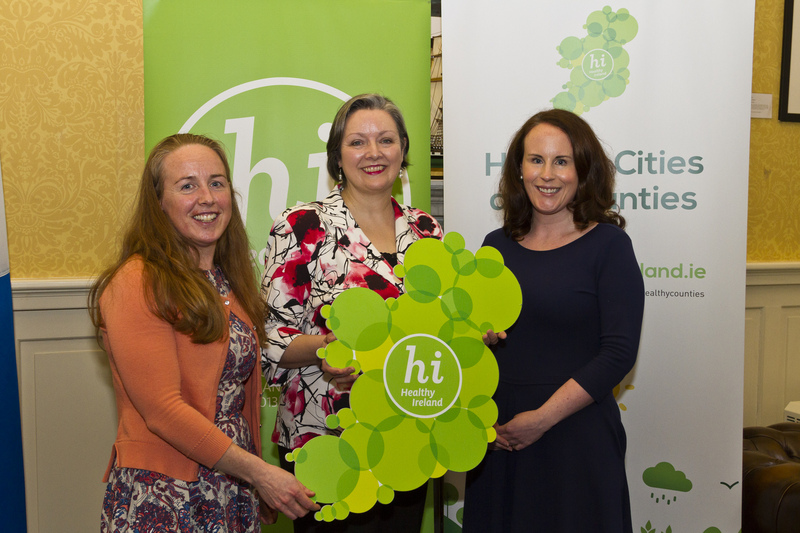 Healthy Waterford will host a half day seminar on social prescribing on Friday 31 March 2017 in Waterford City. This seminar is an opportunity to learn about the concept of social prescribing, explore models of social prescribing, and hear about social prescribing from a Waterford perspective. The Mayor of the Metropolitan District of Waterford, Cllr. Eamon Quinlan was joined by Waterford Marine Search and Rescue to launch Kind Waterford project, an initiative of Mayor’s Health Week 2016, taking place from 7th – 14th May. The aim of Kind Waterford is to encourage kindness as a means of promoting and raising awareness of positive mental health and wellbeing and reducing the stigma attached to mental health issues and ultimately support emotional resilience in our communities. 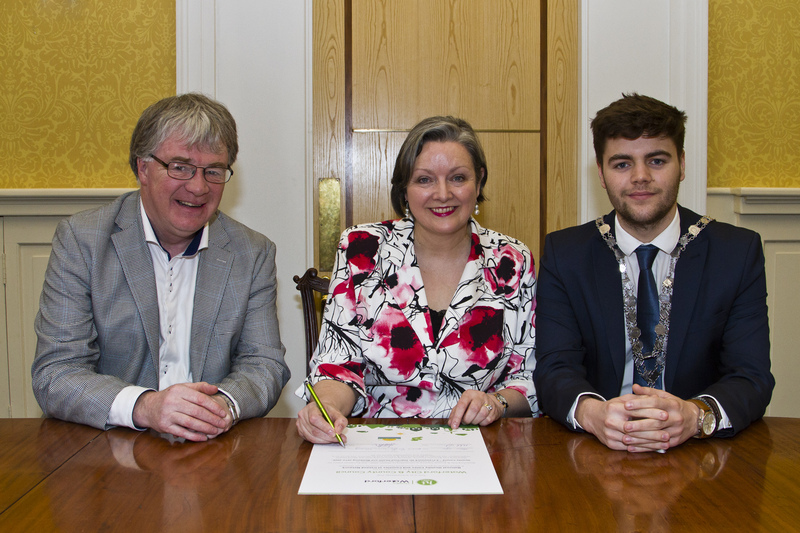 This project aims to raise the energy of Waterford City and County by focusing on the benefits of kindness – where we treat ourselves and others with kindness and promote positive mental health and well-being. Throughout April, during the build up to Mayor’s Health Week, preschools, primary and secondary schools and community groups are invited to put together a project, in any medium, showing how kindness can improve our mental health and wellbeing and how we can be kind to ourselves and others in our communities for their chance to win a ‘Buddy Bench’. Speaking about the initiative Cllr. 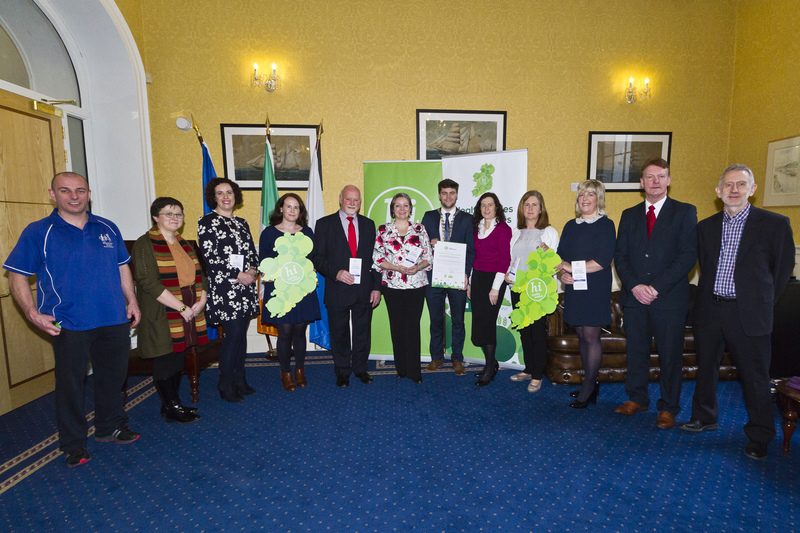 Quinlan said ‘this is our opportunity show those that we do business with and those that visit Waterford that we serious about promoting positive mental health and well-being and of taking care of ourselves and our community. 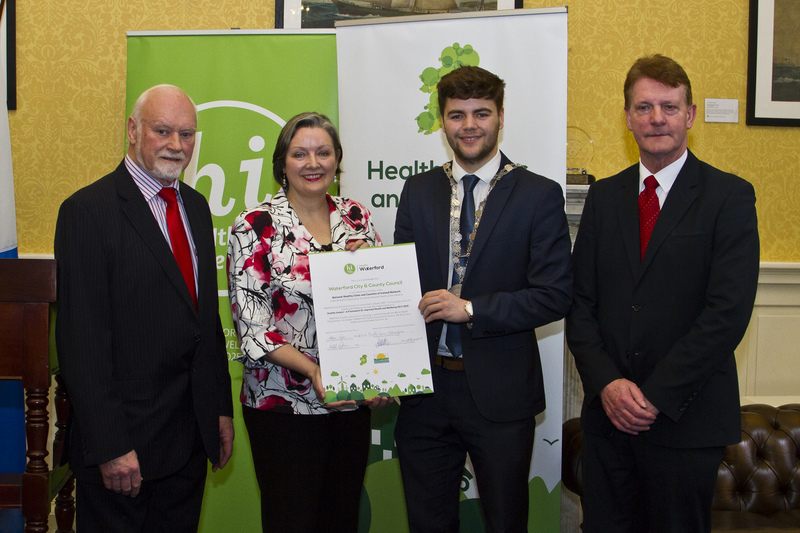 He also added that he was delighted to be part of such an initiative and he hoped that all the communities of Waterford would come together and get involved. He asked that everyone, during April, to treat themselves and others with kindness and tell us all about it on social media using the hash tag #kindwaterford. Cllr. Quinlan also wanted to acknowledge the contribution made by the many volunteers in Waterford, such as those involved in Waterford Marine Search and Rescue, who work tirelessly to promote our well-being. Waterford Marine Search and Rescue were established in 2010 and provide Waterford city and county with a 24 hour, 365 days-a-year search, rescue and recovery service. Staffed entirely by volunteers they also carry out suicide prevention patrol on the River Suir every weekend. Since they were established 24 people have been rescued from the waters of the River Suir and 70 people have been prevented from entering the river with the intention of taking their life.